Global development group Oxfam on Wednesday called on the World Bank to suspend financing for large-scale land acquisitions to ensure that its practices do not encourage foreign land grabs in developing countries. Oxfam urged Jim Yong Kim, the lender's new president, to announce a six-month moratorium on land investments by the bank at meetings of the International Monetary Fund and World Bank in Tokyo next week. But senior bank officials said it would be a mistake to suspend the World Bank's involvement at a time when global food prices are rising and there is growing interest by foreign investors in buying farmland in Asia, Latin America and Africa. The 2008-2009 global food price crisis prompted a scramble for land in parts of Asia, Africa and Latin America, and widespread fears of land grabbing. Madagascar's president was toppled in 2009 after he negotiated a deal with South Korea's Daewoo Logistics to lease half the island's arable land to grow food and ship it to Asia. The World Bank has long argued that Africa needs more investments in agriculture that would not only help modernise farming practices but also create jobs and new markets for local farmers. The lender has boosted its investment in agriculture to $9.5 billion a year from $2.5 billion annually in 2008. Oxfam said the World Bank was in a unique position as both a financier, through its private-sector lending arm the International Finance Corporation, and adviser to developing countries to ensure land deals are transparent and not forcing local communities off land they have farmed for generations. According to Oxfam more than 60 per cent of investments in agricultural land by foreign investors between 2000 and 2010 were in developing countries with serious hunger problems. "The bank can set an example to investors and government that could help put a stop to these human rights abuses and ensure that investors genuinely help boost development in some of the poorest communities," Jeremy Hobbs, Oxfam's executive director, said. Juergen Voegele, director of the World Bank's Agriculture and Rural Development Department, said the bank could be more effective by remaining involved while helping governments address the problem. "We do not believe that Oxfam's call for a moratorium on World Bank Group-related investments is an appropriate course of action at this point, particularly not at a time of rapidly rising and very volatile food prices," Voegele told Reuters. "We certainly do not believe this will help reduce instances of abusive practices that are out there; we do know that, because it would clearly target the wrong stakeholders and the wrong audiences," he added. "We are the ones who are doing everything we can to improve these poor practices". Oxfam said, however, a moratorium would give the World Bank time to "put its own house in order" and send a clear signal to governments and investors it would not tolerate land grabbing. It said the World Bank should insist on more transparency in land deals to limit abuses, ensure communities are informed so they can accept or refuse projects; and make sure that communities' land rights are protected. Many of the deals are government to government and there are questions whether investors pay fair prices for the land. Voegele said over the past two years the World Bank had worked with foreign agencies and governments to draft voluntary guidelines on land investments. 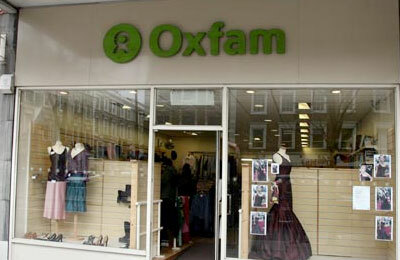 "Just like Oxfam we are concerned these practices are not transparent and they are sometimes hurting poor farmers. Almost 90 per cent of what we do is helping smallholders get access to markets and increase productivity," he added. Contrary to reports that China was leading the rush for land in developing countries, Voegele said investors from the United States, Canada and Europe were also scooping up land abroad. "Two or three years ago we found there was a lot more hype than actual action on the ground. Now that is changing a little bit, but at that time a very significant number of those deals were speculative deals - an announcement but nothing happened," he added. "Speculative land investment is something neither the bank nor the IFC supports because it does not help anybody." Atul Mehta, IFC director for global manufacturing, agribusiness and services, said a moratorium could dissuade responsible investors and lead to more widespread abuses.